April 5, 2019 | 5PM - 7PM | Free. Light refreshments. 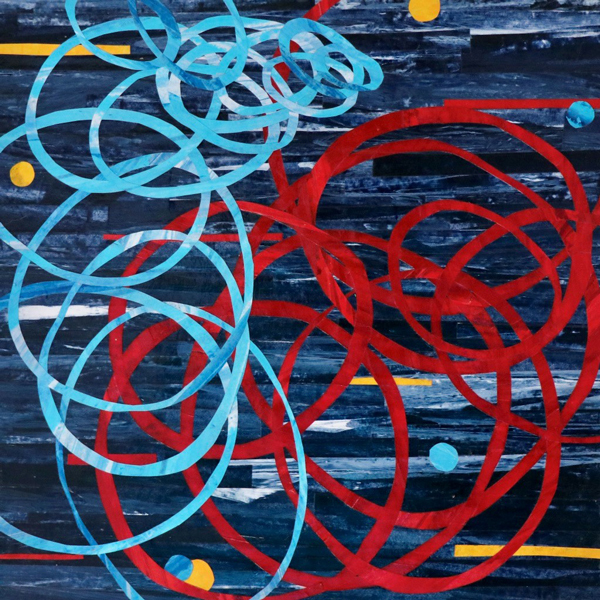 "A Celebration of Ocean, Earth and Sky"
Please join Cynthia Lait from 5:00 - 7:00 p.m. for a First Friday Art Walk Reception April 5th at the Bainbridge Library in the new main meeting room. 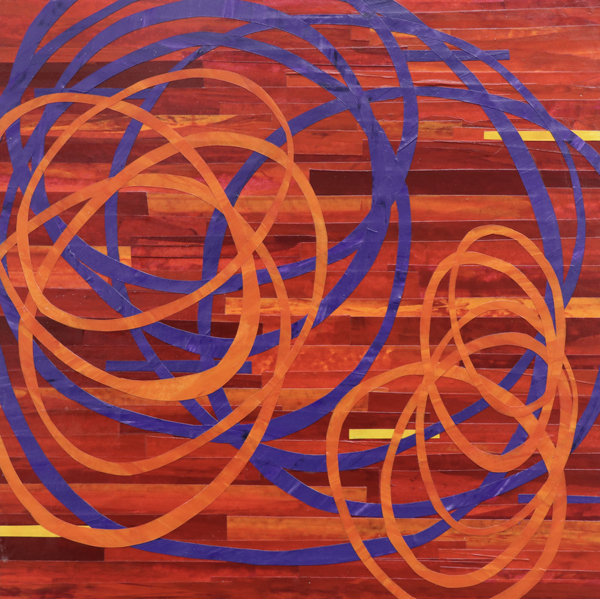 The exhibit features "vibrant abstract collages on the themes of waves and galaxies". For more information about Cynthia's art, see the column to the right. The exhibit will remain on display through the month of April. Listen to Cynthia Lait talk about her exhibit at Bainbridge Public Library. Living on an island, we are surrounded by water and sky. These elements are an endless source of amazement and delight and integral to our daily life here. As a child, the beach was freedom from household rules and the need to keep things tidy. As an adult, it's a means to reconnect with one's self. 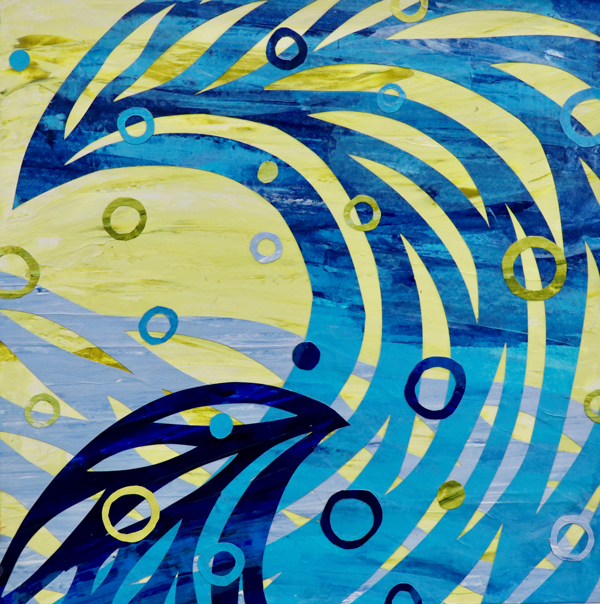 In my wave work, I share the joy and energy of being in the water, feeling supported and carried by the waves. Like the water, the skies are always changing, so expansive and another way to connect with something larger than myself. It's easy to be drawn into the night sky, getting pulled into the vastness of the universe. In the Galaxy series, I connect with this sense of endlessness and the movement of the earth as we travel through the universe. In both series, I paint Japanese papers with brilliant colors, slice them up to and reassemble them to create dynamic and vibrant compositions. They're a celebration of the moment, a reminder to connect with joy and wonder.